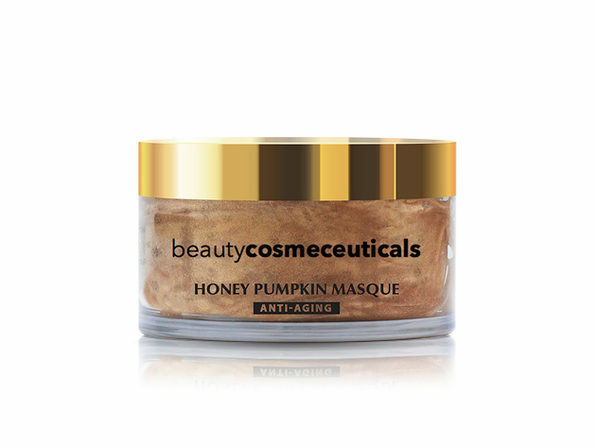 The Honey Pumpkin Mask offers an amazing combination of purifying, brightening, moisturizing, and revitalizing to make your face feel and look better than ever. This product combines pumpkin seed extracts and soothing honey to deliver essential nutrients and fruit stem cells to the skin. Plus, tiny pumpkin enzymes penetrate deep below the skin's surface to help reduce the appearance of fine lines and wrinkles. Enriched with certified organic fruit extracts, this formula is just what you need for a healthy, radiant glow. Apply a fair amount over clean face and neck area. Allow to penetrate for up to 10 minutes. Rinse with lukewarm water. Use two to three times per week. Paraben-free, petrochemical-free, no sulfates.